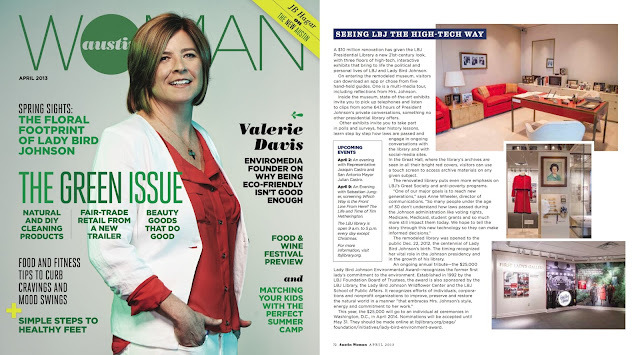 This month my photos of Lady Bird's office at the LBJ Presidential Library were published in Austin Woman Magazine! They didn't credit them, but they are mine. Still excited to see some of my work in print, even if it is just an exhibit. Check out the full article, including a great photo by White House photographer Frank Wolfe.